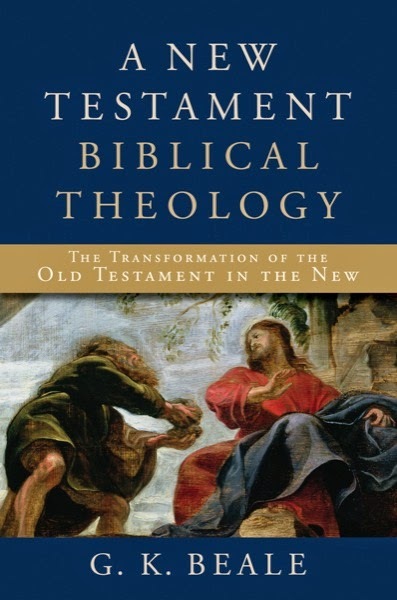 A New Testament Biblical Theology was a book 22 years in the making. One could argue that Beale’s commentary on Revelation alone would be enough to cement his place of importance among the great exegetes (Reformed or otherwise) of the twentieth and twenty-first centuries. The commentary is an excellent picture of how to read the New Testament and Old Testament faithfully in light of one another. If this is true of his Revelation commentary, his New Testament Biblical Theology is further confirmation of the exegetical prowess of a theologian who no longer needs to prove himself. Even beginning with the subtitle of this book, G. K. Beale makes clear that he is no dispensationalist. Rather, Beale (like Ridderbos and Vos before him) sees the Old Testament as something that is not to be set in contrast to the New. It is to be seen as a continuation or “unfolding” of what was already there in seed form in the Old. Of central importance to Beale’s project is developing upon Vos’ own conviction that the message of new creation is the central focus of the Old and New Testaments. He says explicitly where this volume stands in relation to Vos: “The present volume is my attempt to develop further Vos’ program, since he never wrote a full biblical theology of the NT” (20). The Old Testament is the story of God, who progressively reestablishes his new-creational kingdom out of chaos over a sinful people by his word and Spirit through promise, covenant, and redemption, resulting in worldwide commission to the faithful to advance his kingdom and judgment (defeat or exile) for the unfaithful, unto his glory (62). This quote is crucial for comprehending the rest of the book. All parts of the OT, then, serve to move with and build upon this dominant, overarching metanarrative. Notice the eschatological tone that the Old Testament takes on when it is read in this light: the Old Testament storyline has direction, movement, and inertia, moving from creation, to fall, to new creation, and this tone dominates the rest of Beale’s work in NTBT. Jesus’ life, trials, death for sinners, and especially resurrection by the Spirit have launched the fulfillment of the eschatological already-not yet new-creational reign, bestowed by grace through faith and resulting in worldwide commission to the faithful to advance this new-creational reign and resulting in judgment for the unbelieving, unto the triune God’s glory (188). The central theme of new creation isn’t replaced by this NT storyline, of course, but rather brought to fruit. The entire book is particularly interested in “trac[ing] out these major eschatological and biblical-theological notions” (188). 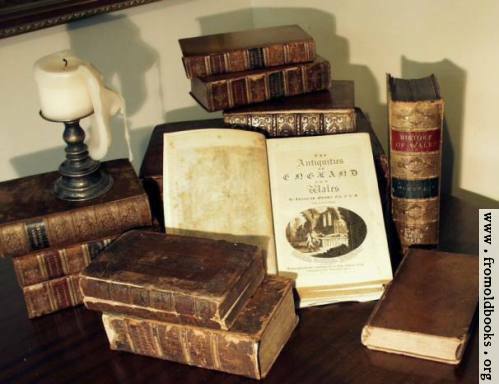 The notion of “new creation” for the purposes of displaying God’s glory dominates the book, receiving special attention at the end in chapter 28. Richard Gaffin, who was similarly building upon the work of Vos and Ridderbos, argued that “history has reached its eschatological realization in the death and especially the resurrection of Christ” (Resurrection and Redemption, 13). Beale is in agreement with this sentiment, and it shows in how he structures the remainder of the book. Out of the 10 parts into which the book is organized, the term “new Creation” appears in the title of 7, which are geared toward exposing God’s new creational purposes in different redemptive-historical areas. Beale doesn’t simply argue that new creation is central and then structure his work as though it were not so. Rather, for Beale the Old Testament, as well as the New, reveals the progressive outworking of God’s new creational purposes. In this schema, the death and resurrection of Christ become the inauguration of that new creational purpose, and the second coming of Christ becomes the consummation of that new creational movement. There is no downplaying the centrality of the resurrection to what Beale is arguing. Whenever the term “new creation” is used by Beale, it is nearly impossible to separate it from “resurrection,” although there may be redemptive-historical differences between them. There is not one without the other. If this all sounds familiar to you, you may already be a student of Beale’s predecessors. It seems best to understand Paul’s statement in verse 13, “the doers of the Law will be justified,” to refer to the final judgment when those who have faith in Christ and possess good works, though not perfect, will be “justified” or “vindicated” on the basis of those works (italics added). Beale’s affirmation here that the final eschatological judgment will be “on the basis of” the believer’s good works rather than “in accordance with” the believer’s good works is difficult to reconcile with his prior affirmation of the imputation of Christ’s active obedience to believers (see 471–477). When Richard Gaffin, who holds a similar view of final justification to Beale, speaks on the subject, he says what seems to be quite the opposite: “[I]n that future judgment, their good works will not be the ground or basis of their acquittal.” I will leave it to readers to make sense of how the rather odd statement in question fits into Beale’s overall perspective on justification; I am quite at a loss to discern the answer myself. Even in light of the above-cited shortcoming, this book really is a treasure trove of biblical-theological and redemptive-historical insights. Reading this book during my first year of seminary was profoundly formative, and it increased my confidence that the Bible could be read as a whole elegant tapestry and not as a patchwork quilt. Even in light of the above-mentioned confusing statement regarding final justification, I would still recommend this work highly. The fact that this book is now available in a searchable format on Logos further increases its high value to both pastor and student. Even if one doesn’t plan to read it all the way through, it can be very helpful to use the Scripture index and see how Beale works with particular texts in their redemptive-historical context. Being able to read the numerous Scripture references on the fly simply by hovering over them is a feature so exciting that I can hardly contain my enthusiasm. I own a physical copy of this text, with highlights all over the place and writing in the margins, but the truth is that—at 1,000 pages—it’s quite cumbersome for a bus trip or even a ride across town in a backpack or briefcase. Being able to put this on my iPad with Logos, and read the Scripture references immediately within the text, all in a searchable and digital format, is well worth the repurchase price tag. If you have this book and find yourself using it already, don’t hesitate to pick it up on Logos.